Hundreds of children and their families have received invaluable support and therapy to lead as independent a life as possible. We provided funding for life saving and corrective operations. Our successes include children and young adults being able to sit up alone, learning to walk and talk, self feeding and even having the independence to be able to go to the toilet alone. A number of children have also been able to attend mainstream schools and others attend special needs schools. Our Community Based Rehabilitation provider is told about patients by health staff in the area, schools and other members of the local community. She then visits to make an assessment and find simple solutions to the problems identified. Continue supporting the project for the future benefit of the patients. By donating to this project, you will helping to support the work of our Community Based Rehabilitation Coordinator, without whose skills many people living with disabilities in the local area would continue to suffer. A donation of £21 ($30) provides vital support to three children and their families. Your donation would fund patient referrals, basic mobility aids, rehabilitation equipment, and transport. Some medical cases, however (such as critical operations or specialist equipment like prosthetics), cannot fit within our project budget — and in these cases, we will need donors to make a special commitment to fundraise for these on an individual basis. If you want to help someone for this kind of specialist treatment, please e-mail us. If you’d like to support more children, as an individual or a corporate, please get in touch. RIPPLE Africa works in partnership with existing government systems to identify, treat, and support the people in the community who have been unable to access help. We estimate there are about 200 people in our catchment area who are in need of support but are not currently accessing treatment, and it is these people that our Disabilities and Rehabilitation Project aims to reach. All services are completely free to the patient. 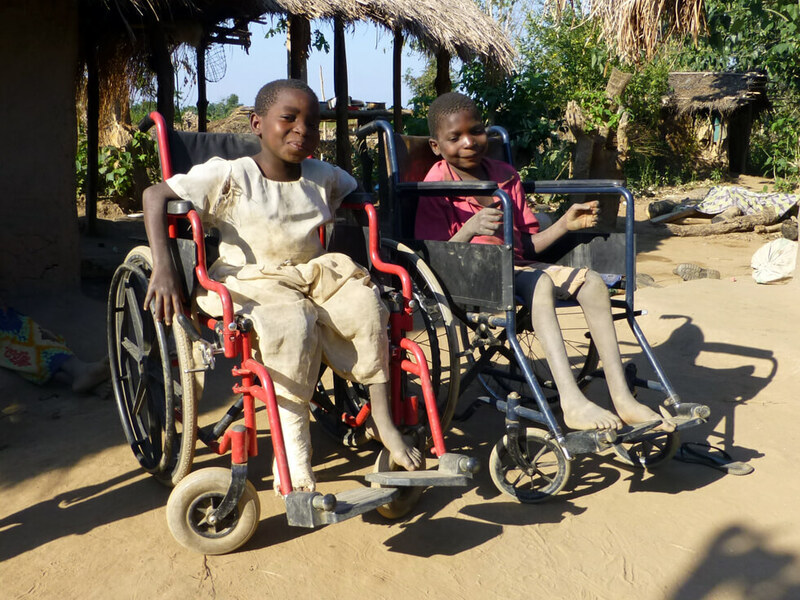 Malawi’s government provision for people living with disabilities is serviced at a national level through MACOHA (Malawi Council for the Handicapped); however, areas are so large and funding limited that thousands of patients slip through the system without identification, treatment, and support. Identifies patients who could be considered for the project. Conducts regular home visits to provide clinical rehabilitation. Identifies candidates for mobility equipment and arranges for the order/delivery/use of such equipment. Organises community support groups for carers and patients. Makes referrals to relevant partnership bodies where applicable. In addition to this clinical care at household level, the project also encompasses an awareness campaign to tackle the social stigma and misunderstandings surrounding disabilities in the community. This campaign will be the first of its kind in our area, and Matilda will conduct regular talks about disabilities to local primary schools, secondary schools, church groups, and local health clubs within the Fukamapiri area. The project includes funding for referrals, mobility aids, and equipment such as crutches, sitting/standing frames, push carts etc. which can be constructed locally. Larger specialist items such as wheelchairs, made-to-measure prosthetics, or specialist surgeries may on occasion need to be handled outside this budget and funds raised on an individual basis; however, the majority of cases will be able to fit within the arranged budget, and many rehabilitation cases require no aids or funding at all besides access to our rehabilitation services. This project is supported by RIPPLE Africa’s overseas volunteering programme, which benefits from the input of physiotherapists, doctors and nurses who can provide care and specialist advice. The goal in every case is to identify the person who needs support and work to improve their quality of life and enable them to live as independently and as happily as possible within their local community. People with disabilities are often ostracised. Many local people believe that a disability is the result of witchcraft or “black magic”. Many people with movement restrictions are physically unable to leave their homes. Children are unable to attend school because they can’t get there. Some patients, who have suffered an injury and would be able to make a full recovery with proper rehabilitation, develop a permanent disability simply because they didn’t have access to any services. Every person with a disability deserves an equal chance of living a better life! RIPPLE Africa’s Disability and Rehabilitation Project provides that — and brings hope and happiness to people who may otherwise have given up. Our Community Based Rehabilitation provider is told about patients by health staff in the area, schools and other members of the local community. She then visits to make an assessment and look for simple solutions to problems identified. 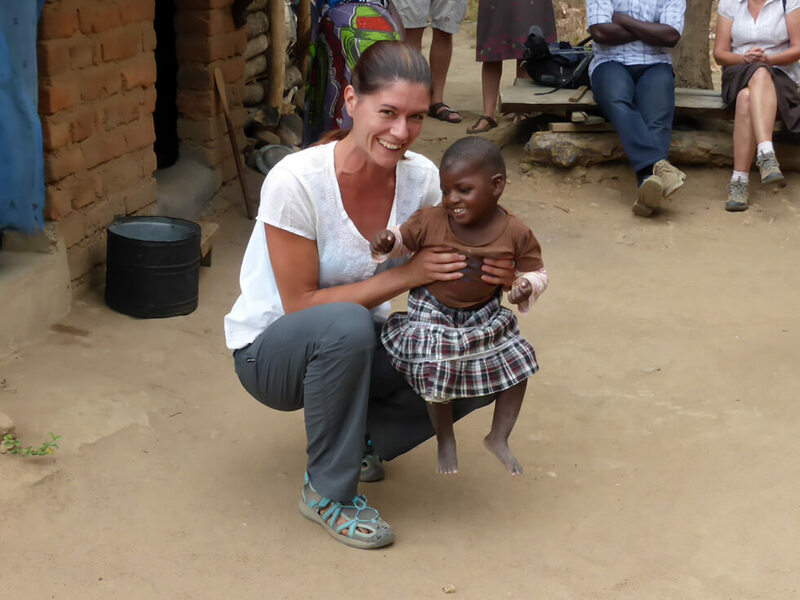 Matilda is supported by RIPPLE Africa’s volunteer physiotherapists, nurses and doctors who visit clients with her, advise on treatments and help develop the aids and exercise programmes that are required. Where we can, we use local workmen to help us make walking aids etc. rather than buy in expensive equipment. 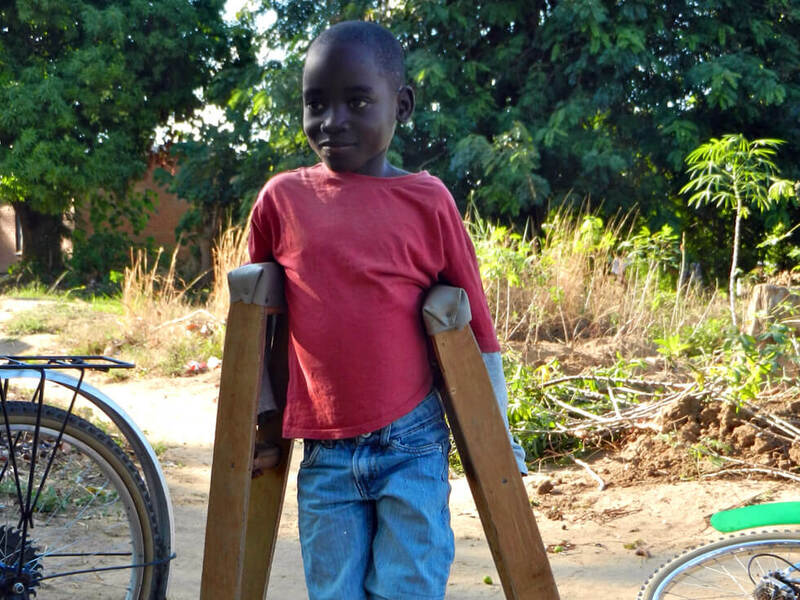 We work in partnership with Malawi Council for the Handicapped (MACOHA), local clinics and a local NGO called 500 Miles who supply patients with prosthetic limbs. We intend to continue the project and are currently seeking new funding to ensure its long term success.